I made these tonight (actually, made the paste last night, but didn't form the balls until tonight). A few years ago, we went to an "International Day" thing that one of my wife's groups had. The woman representing Brazil had these chocolate truffles and was supposed to have emailed me the recipe, but never did. I was thinking about them the other day and decided to just search for Brazilian chocolate. I figured it must be a popular Brazilian thing, since that was kinda the point, and it turned out I was right. It didn't take long to find. 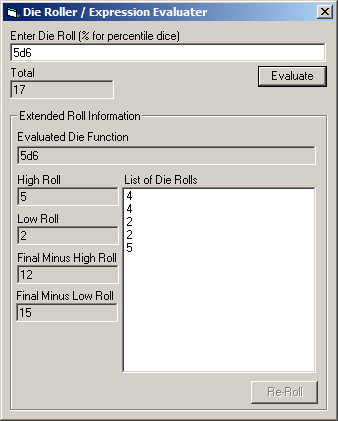 In this post, we'll continue converting the dice roller VB6 application to an android app. In the last post, we set up the framework of a basic android application, set the project name and title, and defined the custom icon. In this one, we'll start on setting up the UI. I mentioned quite a while back that I was going to start converting some of my old VB6 apps to Android. That post wasn't really helpful, just a slice-of-my-life type thing, but I've noticed that it is the most viewed post I have. I've done a few other conversion since, but just as tests, not complete apps. So, I'm going to walk you through conversion of one of my old VB6 apps from start to finish, and explain exactly what I do. You'll be learning Android programming (along with me) from the standpoint of a VB6 programmer. I'll try to throw in c# references as well, but that won't be the focus, simply because that's not what the original post was about. I had to move a couple of switches, and install a new closet ceiling fixture at the rental. While I was doing it, I tried to get up to code as much as I could, so I installed junction boxes for two of the connections. Another one had wires too short to make an accessible junction box, and I couldn't replace the wires, so I just reconnected them. I found these at Lowe's. I hate wire nuts, especially with thick wire, and these saved a lot of trouble. They come in different sizes to connect 2, 3, or 4 wires together and you just strip the wires and then push them in. They have a possible downside that they aren't removable (at least without a lot of trouble) but if you know you're hooking up the right wires, that shouldn't be a problem. Anyway, as far as I can tell electrical code requires junctions to be in accessible boxes, so I used these single-gang outlet boxes. I couldn't find blank plastic face plates for the normal metal junction boxes, and I didn't want ugly metal plates. These will take a standard blank faceplate. They also attach from the front of the 2x4 instead of from the side, so no swinging a hammer in a small space, and the lip automatically aligns it to sit flush with the drywall when it is finished. My wife started painting some of the ceilings at our rental, and the popcorn texture just made a huge mess. It kept coming off and dropping paint everywhere, sticking to the roller, etc. So I took one of these floor scrapers that we got from Harbor Freight to scrape up linoleum. It worked wonders. 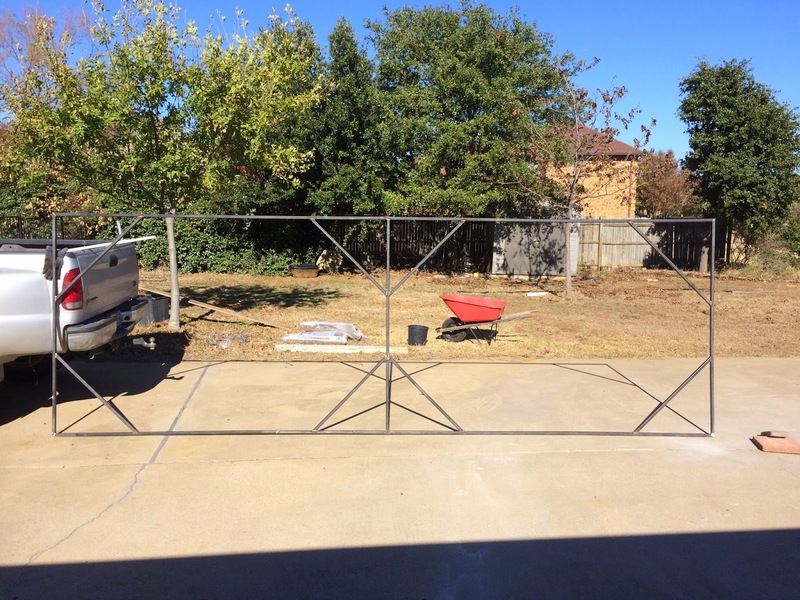 The picture below is the after picture. That makes it much easier to paint, and is closer to the more modern "orange peel" textures. Just be careful; I didn't have any problems, but I imagine you could gouge the ceiling if you don't stay flat with the scraper blade. I rearranged the hive, and it was not a good day. I don't have any hive pictures of import, as nothing really looked any different. They were filling out the empty foundation that I had moved closer to the center. But they really didn't enjoy me splitting the brood into a new box. I got stung twice, once in each thumb. The first one, I didn't feel at all. I just saw her stuck to my thumb, and while I was wondering what was going on, she left her stinger behind as she crawled away. I guess she hit dead skin. But I got hit on the other thumb right after I pulled that first stinger out. That picture on the left is what it looks like after 2 days; just a tiny blood blister, sorta, and feels like I have a splinter or something. But at the time, my thumb was going numb. I put my gloves on fairly quick after that. FYI, I'm trying to do "affiliate marketing" as another possible line of small side income. With a blog that only gets 300 hits or so a month, I don't have a lot of hope, but that's standard with me anyway. I signed up for CJ Affiliate (used to be Commission Junction) and I only have to make one sale every 6 months to keep the account open. Of course, if I don't, they charge me 10 bucks and close the account, so I won't be out much if it fails. I did another hive inspection last week (you really are only supposed to do it every other week or something, but it doesn't hurt TOO much to do it every week, or so I've been told) and things were a little weird. I've developed a new theory on why dog's bury stuff; maybe they don't do it on purpose. Anyway, the German, Ruby, loves to chase it, as I said, but she's also figured out that she can "throw" it for herself. I went to the Trinity Valley Beekeepers Association potluck on Tuesday. Not really a meeting, but I did get my questions answered. For one, I had forgotten that the queen mated with up to 12-15 drones (according to wikipedia). So she may have mated with one german drone or something and that's why I get a few dark bees. I was also told that even the pacakged bees probably won't kick out the drones until the summer dearth, so still seeing drones is also normal. I also finally found my queen. I was updating my bee log by going through the pictures and counting frames of brood vs honey, etc. while also checking for the queen again. Sure enough, I found her at the bottom of a frame, with her paint dot barely visible. I may not have seen her in the flesh, but I at least recognized her shape in the photo before I even noticed the dot, so that's something. When I installed the screened bottom board, I also moved the hive onto a new ant-proof stand. I hadn't gotten a picture of it until now, so here it is. It is based off of a design here, or at least the idea of using high-temp grease in upside down cups instead of vaseline is. I don't trust pounding a single pole in straight, and my wife doesn't want anything pounded in at all, for fear of hitting a sprinkler line, so even two per end wouldn't work. So I welded a full frame up. I originally tried it with an oxy/acetylene welder, because I was out of gas for my mig, but the welds just wouldn't hold. They looked fine, but broke when I pounded on them. I finally remembered that I had some flux core wire laying around and used that. 1.5 hours per joint per attempt, several attempts over 3 days with the oxy welding, vs 15 minutes tops per joint with the flux-core. So even if the oxy welds held, I wouldn't use that for something I really needed done soon unless I absolutely had to. Another problem we found with the house after we pulled the carpet is a slight foundation issue. We new there were a couple of cracks on the outside of the foundation, but the inspector thought they were probably "surface cracks", since he didn't find any cracks running through the brick. And we found doors that didn't close and one with a pulled-apart casing(? ), but it looked like the previous owners were trying to fix things, and were just doing a lousy job. For instance, the door with the cracked casing hasn't been painted yet and still has the label on it, but doesn't fit in the frame. So maybe they bought a wrong sized door, or hung it wrong, or something. But now we find that one of the foundation cracks runs right up to that cracked casing. So the casing may still be pulled apart because the previous owners didn't know what they were doing or something, but it may be that the reason they were fixing the door was because the foundation had shifted enough to keep it from working anyway. We've recently bought a house to rent out and have been remodeling it. One of the things we are doing is splitting the master bedroom up into two rooms. I did a hive inspection today, the first since I added an extra deep while switching the bottom board out for a screened bottom. I didn't get to do my inspection then to see if they were ready for the deep, but I figured they had to be close, so I added it anyway. It turns out, they still only have 6 of the 10 original frames drawn out completely, so I'm too early. But I don't know if there is any harm in having it there, so I'm leaving it. I want to leave an entrance reducer on to prevent robbing of my boardman feeder, while still leaving enough ventilation for the summer. So I replaced my bottom board with an SBB from plans at beesource.com last Sunday. I screwed up the dados, because 1) my tablesaw drifted up while making the second pass at the wide dado and 2) I mis-measured the second dado. So the sides don't sit right, don't meet well enough for glue to hold, and are only held on by nails. Also, the frame sits 1/8" too low, which I forgot about when cutting the back filler board, so I ended up with an extra entrance that I had to cover with mesh. The only 1/8"x1/8" mesh I could find was gutter/vent screening by New York Wire at Lowe's, but it's only 8" wide. So I had to use three strips and basically sewed them together to keep bees from getting between them. The only intentional difference from the plans is that I used 2x4 instead of 1x4 for the side rails. I'll get a picture of it soon, but they are crooked because of the crooked dados, so I'm probably going to add a front end board to act both as stop for the sticky board and to reinforce the side rails. Once I got the hive on the new base, I tried to shake the bees from the old base into the hive, like when I installed them. Apparently, this only really works if they are wet, as they just ended up in the air. My wife got chased around the yard by one of them, so I figured it was probably a bad idea to also try to do a hive inspection. I did one today instead, and I'll post about that next. I did move the hive onto a new ant proof stand and put the boardman back in front with an entrance reducer. I filled the now empty top box with 4 plasticell and 6 foundationless frames, figuring the bees should be about ready for it. The two center frames are plasticell, with foundationless outside of those, then plasticell again, and the final outer two being foundationless. I don't have starter strips or anything, so I figure the interspersed plasticell will help keep the combs straight.